Congratulations to tour winner Cali and to host winner Stormy Nights Reviewing and Bloggin'. 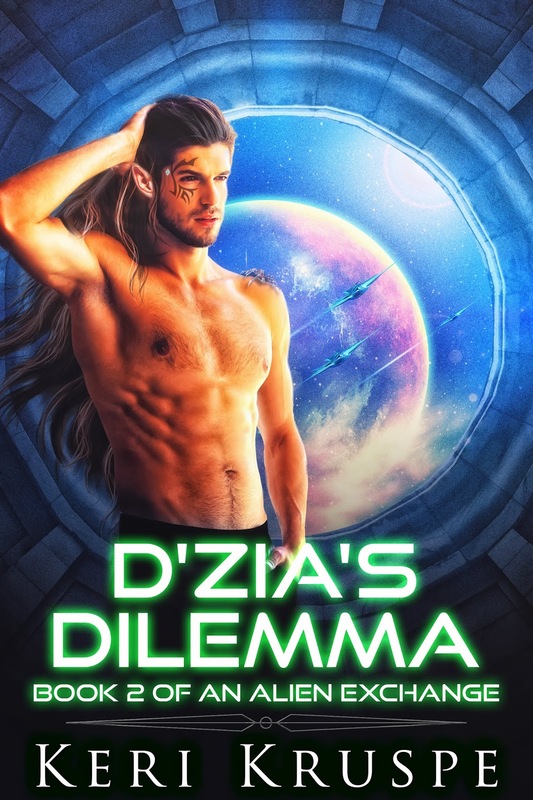 Goddess Fish Promotions is organizing a Virtual Book Blast Tour for D'ZIA'S DILEMMA by Keri Kruspe, a Sci-Fi Romance available January 19. The Book Blast Tour will take place on January 21 - January 25. This tour will not include interviews or guest blogs; however, a blurb, excerpt and author bio will be provided to every host for inclusion on their blog. A PDF, mobi, or epub copy of the book is available for review. Keri Kruspe will be awarding a $25 Amazon/BN GC to a randomly drawn winner via rafflecopter during the tour, and a $15 Amazon/BN GC to a randomly drawn host. 4: Vala Kaye's "Other World"